I am a huge mushroom fan and, if you follow my blog, you also know that I cannot live without cheese. 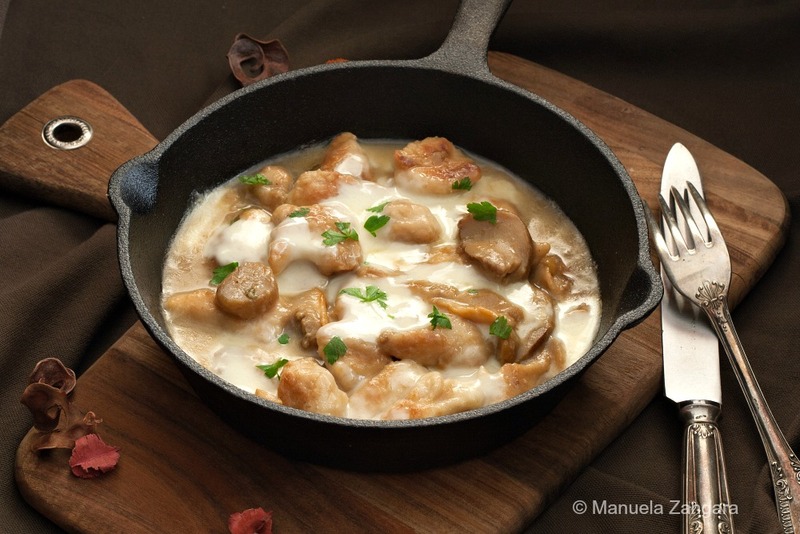 So it’s easy to understand that I find today’s recipe – Mushroom and Mozzarella Skillet Chicken – simply irresistible! Hearty mushrooms? Check. Gooey stretchy cheese? Check. Juicy and tender chicken bites? Check. What more can you ask for? This recipe is an absolute keeper and it makes for a quick dinner the whole family will love. It is best served with some crusty bread (have you tried my easy Ciabatta recipe yet??) to soak up all that delicious sauce. 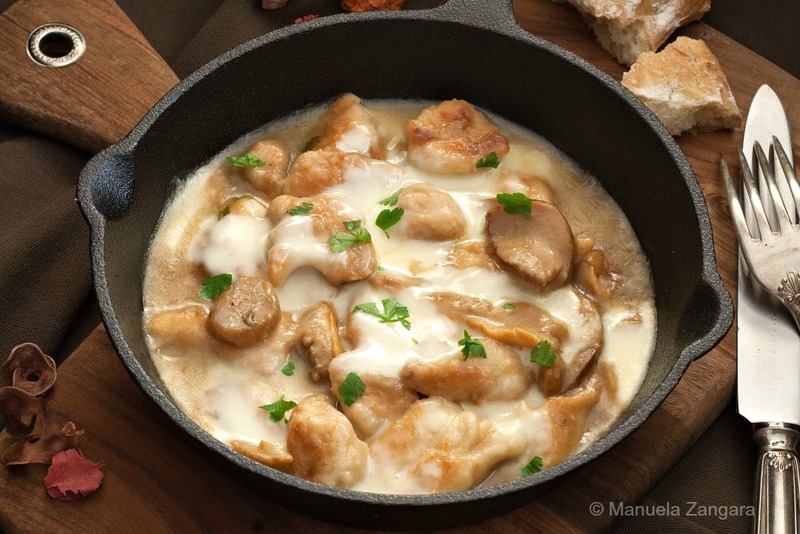 I used Porcini mushrooms for this version (I find frozen Porcini here – do not use the dry ones), but if you cannot find them, you can substitute them with your favourite mushrooms. Buon appetito! 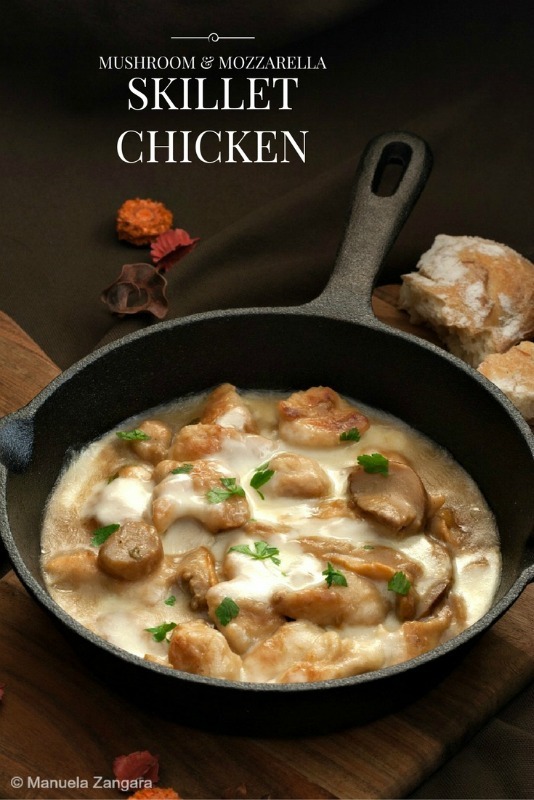 Mushroom and Mozzarella Skillet Chicken - hearty, gooey and flavoursome. The perfect dinner idea for the colder months. 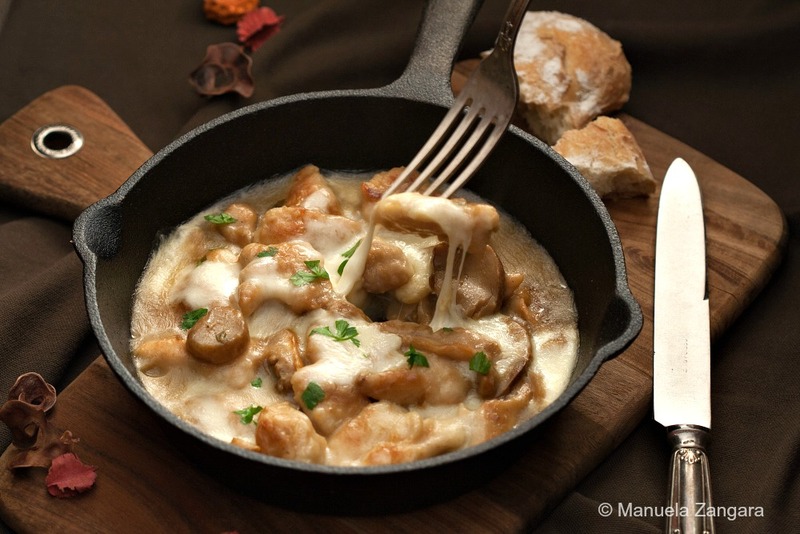 To prepare the mushroom/porcini sauce, chop the garlic clove and put it in a non stick frying pan with 1 tbsp of the extra virgin olive oil and let it fry on a low fire for 1 minute. Add the sliced mushrooms and let them cook for 2-3 minutes. Add a little water if required. Season with salt. 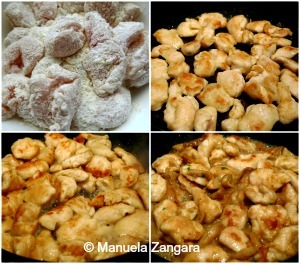 Season the chicken cubes with salt and coat them with a little flour. Brown them well in a skillet with the remaining extra virgin olive oil. Add the mushroom sauce and stir. Add the white wine and burn the alcohol off by increasing the flame for a few seconds. Cook until the chicken is cooked through (you may need to add a little water, depending on how much liquid the mushrooms release). When ready, top with the sliced mozzarella, cover and put the fire off. When the cheese has melted, add the chopped parsley and serve immediately.